Swim Smooth are very pleased to announce that the ITU have selected Swim Smooth as their coaching provider for swimming. Similar in nature to our partnership with British Triathlon, all ITU coaches will now be taught to use Swim Smooth's principles, coaching methods and coaching tools in their countries around the world. If you're planning on taking ITU qualifications then we hope you're as excited as we are about this new relationship! The ITU is the Triathlon governing body for the Olympics and represents 119 nations around the world developing the sport at all levels from grass roots up to Olympic competitor. We're very proud of this new relationship and are excited about our coaching being used ever more widely. We see it as part of our overall mission to raise the standards of swim coaching around the world - we hope you're on the team with us! If you've been following Swim Smooth for a while, you'll know that we advise against adding a pause-and-glide into your stroke to try and make your stroke longer. One reason is that water is 800x more dense than air and you simply decelerate during the glide before have to re-accelerate on the following stroke - which is a very inefficient way to swim. You can clearly see how she's leaning on the water in order to try and pause her lead hand in front of her head. Not only is she applying a brake and slowing herself down but by dropping the elbow and wrist like that it's almost impossible to get a good hold of the water and press it backwards effectively during the stroke that follows. If you push forwards like this in your own stroke then you will feel quite a lot of water pressure on the palm of your hand. Don't mistake that feeling for a good catch - it isn't! In fact, when you correct this position (see below) you will actually feel less pressure on the palm of the hand, which can feel wrong at first. Pushing forwards on the water has many knock on effects in your stroke, such as sinking the legs downwards at the back. If you look back to the top video again you can see how hard Paula is having to kick to try bring them up to the surface and to make up for a lack of arm propulsion in her stroke. Kicking that hard is hugely energy sapping! 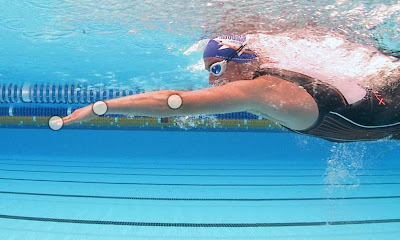 In this position there's no braking effect on the lead hand and the swimmer is perfectly set-up for engaging with the water and pressing it backwards. If you are trying to deliberately pause at the front of the stroke there's really no other way to stop the next stroke commencing other than learning to push forwards against the water. This is why nearly all Overgliders have learnt to 'put on the brakes' like this in their stroke (as you can see in this Youtube sequence). The solution? Take a leaf out of the elite swimmer's book and don't try and glide in the first place! Not only will this improve your catch mechanics but it will lift you stroke rate, improving your sense of rhythm. Don't rush the stroke but keep it continuous and flowing to give yourself every chance of developing a great catch and pull, you'll be a much faster and more efficient swimmer as a result. If you've been swimming for a while you've probably hit a plateau in your swimming performances at some point in time, in fact it's quite likely you're on one right now. You might have been swimming for weeks, months or even years without seeing any improvements in your swimming ability, which is a very frustrating place to be. 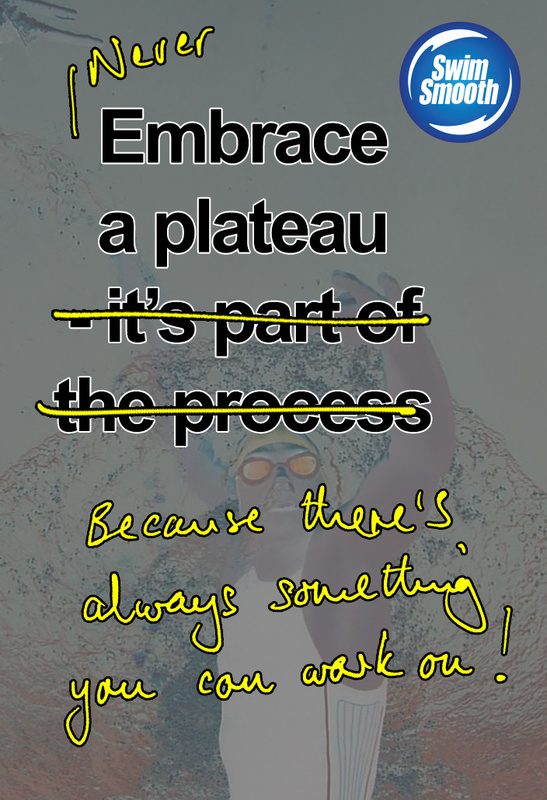 There's a common school of thought out there that says in this situation you should 'embrace the plateau' and enjoy it for what it is - as if doing so is in some way virtuous. - You are already as good as swimmer as you can be (vanishingly unlikely). - By repeating the same things for months on end, without improvement, that one day you're going to wake up and suddenly be a much better swimmer*. - Do you ever practise your exhalation technique? If not, there's some free speed right there by improving it. - Are you performing the right fitness training? Consider 'chasing speed' using a Finis Tempo Trainer Pro rather than waiting for it to happen using our The Swim Smooth guide to systematically improving your CSS pace. - Are you thinking of yourself as an individual in regard to the type of technique work you are doing? As we mentioned on the blog last week, our Swim Types system is a great way to address this. - Are you consistent with your training? - If you race in open water, have you thought how a good open water stroke might differ? - Do you practise your open water skills regularly? Your ability to swim straight, draft and punch effectively through disturbed water can all be practised in the pool during the winter and are arguably worth as much time saving as conventional technique work. 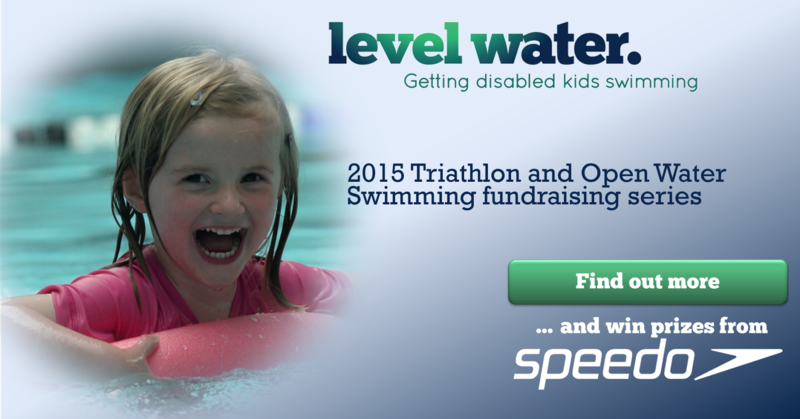 to reach your potential as an open water swimmer or triathlete. - What are your pacing skills like? Go off too fast every time you start a set (or start a swim within a set) and the quality of your training will be reduced. See here. As humans we get tied to our beliefs and habits but more often than not they are what ends up holding us back. Try making a few changes and introducing some fresh ideas to your swimming - you will be surprised at the results! * The definition of insanity? Keep doing what you've always done and expecting a different outcome.